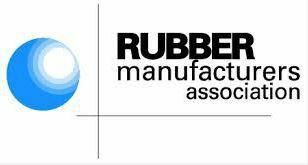 International association representing all segments of the tire industry. Providing our members with superior member services and discounts, best-in-class tire service training, and effective government relations representation. The Tire Industry Association, with a 90 year history representing all segments of the national and international tire industry, is the leading advocate, as well as, instructor in technical training of tire service technicians. Founded in 1983, Tire Business is an award-winning newspaper written for independent tire dealers and others in the tire and automotive service industries and automotive aftermarket. Tire Business is published every other Monday. Our mission is to bring news and information to those in the automotive service markets, independent tire dealers, tire manufacturers, tire retreaders and the global tire market. RMA’s “Be Tire Smart – Play Your PART” program helps educate motorists about the importance of proper tire care and promote a safer driving experience. For more than 90 years, Modern Tire Dealer has been the premier business-to-business information source for independent tire dealers, making it the tire industry's leading publication. Modern Tire Dealer, the tire industry's leading publication, is dedicated to providing information and analysis that will improve the profitability of independent tire dealers. Tire Review is a monthly magazine offering in-depth information pertaining to all aspects of operating a successful tire dealership. Tire Review offers in-depth information pertaining to all aspects of operating a successful dealership – including market overviews, product applications, technical service-related issues, insightful industry research, business operation issues and annual directories and guides.